Halden Prison in Norway looks sort of like a fancy dorm room or a hotel — much different than the barbed wire and cramped cells we often associate with prison design. Its look is all part of a plan to create a more humane prison, one where the architecture isn’t part of the punishment. Most prisons around the world are consolidated into one single building. This style makes it easy and efficient for inmates to move around, but the design is monotonous and full of visually unappealing materials, like steel and concrete. Plus, tight quarters inside these spaces can foster conflict. 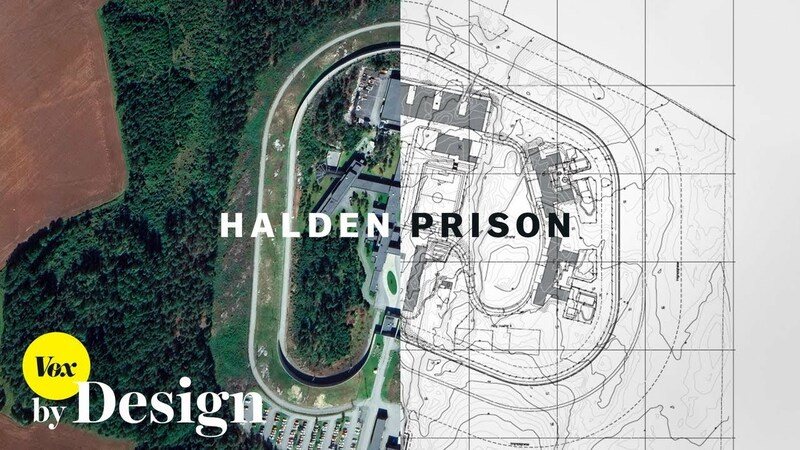 Halden has a different structure: a campus design, where inmates move from one building to another, and are surrounded by lots of windows and construction materials that help muffle noise and take advantage of natural light. The prison’s layout also encourages guards to interact with inmates face-to-face, which fosters better relationships and reduces security-related incidents. Halden’s design style is expensive — which is why we mostly see it implemented in places with good social support systems, like Western Europe and Scandinavia. Still, the design is setting new standards for what prisons could be like in the future.